And it uses a variety of unfair practices—for instance, inventing regulations and standards that only Chinese companies can meet, and artificially lowering costs for Chinese companies—to tilt the playing field in its favor. Instead of responding forcefully, the Obama administration has acted like a supplicant. and barring U.S. government procurement of Chinese goods and services unless the Chinese government ends its discrimination against U.S. goods and services. The United States does not have to accept forever the practices that have led to a huge and seemingly perpetual trade deficit with China. … The time has come to lay out a series of steps that China must take to become a responsible member of the global economy. And the time has also come to lay out the consequences that would accompany its failure to make rapid progress toward that end. This plan has a significance that goes well beyond the policy specifics and their immediate political implications. 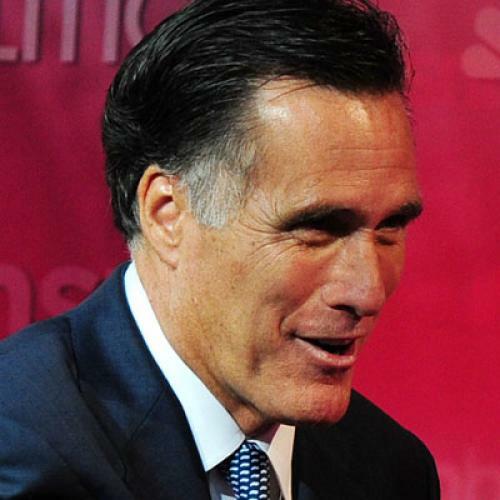 Mitt Romney is running for president as the champion of the business community. It is hard to believe that his hard-hitting stance toward China was not developed in close consultation with his numerous contacts in that community. If his views reflect theirs, it means that U.S. firms with substantial interests in China have shifted their position in ways that could prove momentous for future relations between the world’s two largest economies. Twenty years ago, Bill Clinton campaigned against President George H. W. Bush on the grounds that Bush had placed our diplomatic and commercial relationship with China ahead of considerations such as human rights and democracy. Once Clinton took office, systematic and sustained pressure from the U.S. business community forced the administration to relent, and the status quo ante was mostly restored. But if Romney is accurately representing the views of his core supporters, the business community has now concluded that the status quo no longer serves its interests and that the playing field has tilted too much to be accepted. In a lead editorial, the Wall Street Journal accused Romney of being willing to risk a “trade war” for crass political reasons, and it argued that giving Americans the impression that a confrontation with China will bring lost jobs back to the United States is offering “false hope.” Maybe so. But Romney seems willing to run for president on the proposition that there’s leverage we have failed to exploit and that a tough stance will force China to change course. If he’s elected on that basis, he’ll have no choice but to test that proposition. Today, the Chinese and American economies are far more deeply intertwined than they were two decades ago, and the potential costs of disrupting the relationship have risen accordingly. If Romney becomes president, we’ll find out whether the business community has really changed its mind about China, and how much heat he’ll be willing to endure if they haven’t. We’ll learn, as well, whether the Chinese government will respond with compromise or confrontation. And as we do, the future of the world economy will be at stake.